If you are in the market for a new car you will most likely turn to financing as the method of purchase. 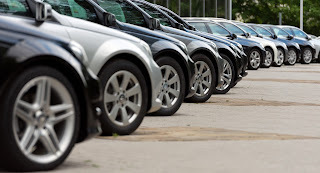 Financing is the most common method used when customers purchase a new vehicle. They simply make a down payment, or apply the value of a vehicle trade-in, and then make monthly payments for the course of 60 months. Here’s what’s required when you apply for vehicle financing. The first thing you’ll want to do is complete an application for your loan. If you want to save yourself some time, complete the application online. It takes just a couple of minutes and you will get an answer when you are done. It’s not required to complete the application online. You are welcome to do so at the dealership with the finance team. It’s a good idea to check your credit score prior to arriving at the dealership. You don’t want to find out at the dealer that you have a less than favorable credit score. This will put a damper on your attempt at a vehicle purchase. Be sure you bring plenty of documentation to the Jeep dealership when looking to buy a new car via financing. You will need proof of identification, proof of income, proof of residence and proof of insurance. A current driver’s license, pay stub, tax bill and automotive policy card will all work for this requirements. If you don’t have a vehicle to trade-in, you should bring a down payment with you. The down payment should be in the $10,000-$20,000 range to help offset a portion of the purchase price applied to the loan. Ready to pull the trigger on a new car purchase from your local Jeep dealership? Contact 1-800-Autoland to schedule a test drive in the vehicle of your dreams.